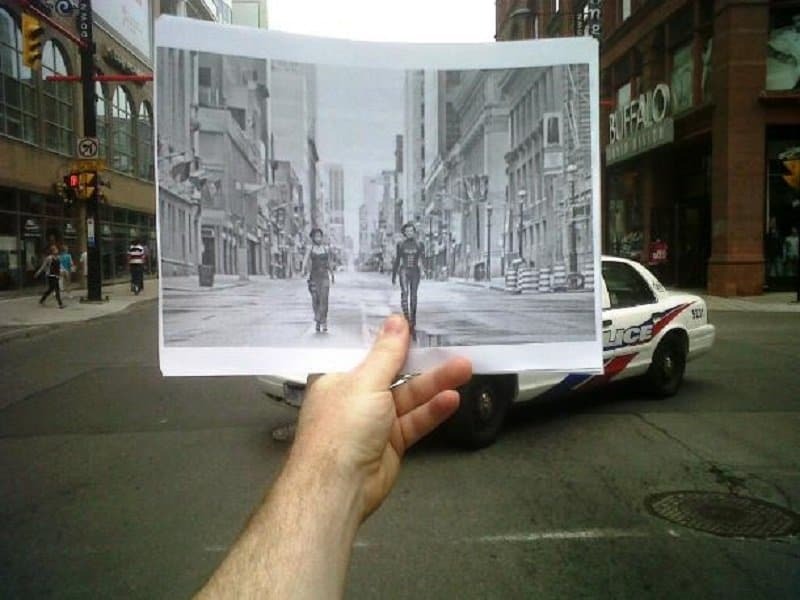 Christopher Moloney is a Canadian photographer who has started a new art project that he calls ‘FILMography’. 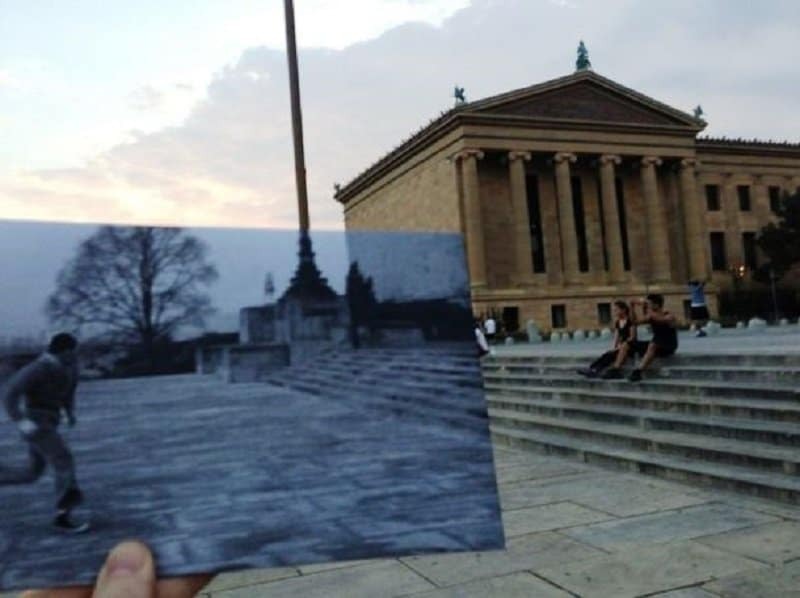 This unique series involves taking printed versions of famous movie screenshots, and matching the image with the actual location used in these films. 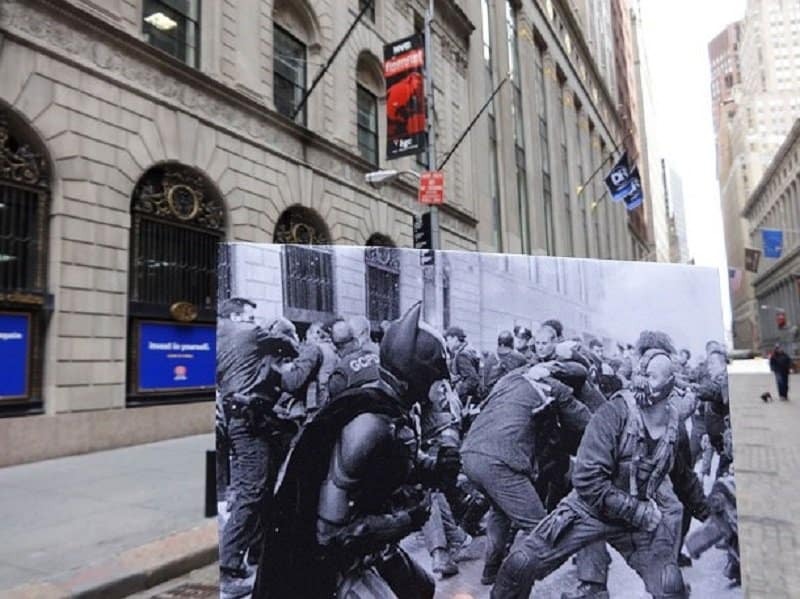 The result is a distinct and almost surreal image that beautifully manages to merge the past with the present. In order to work on this project, Christopher has traveled from New York to Ho Chi Minh City and nearly every place in between. The following list features 10 of the best photographs featured in this series. 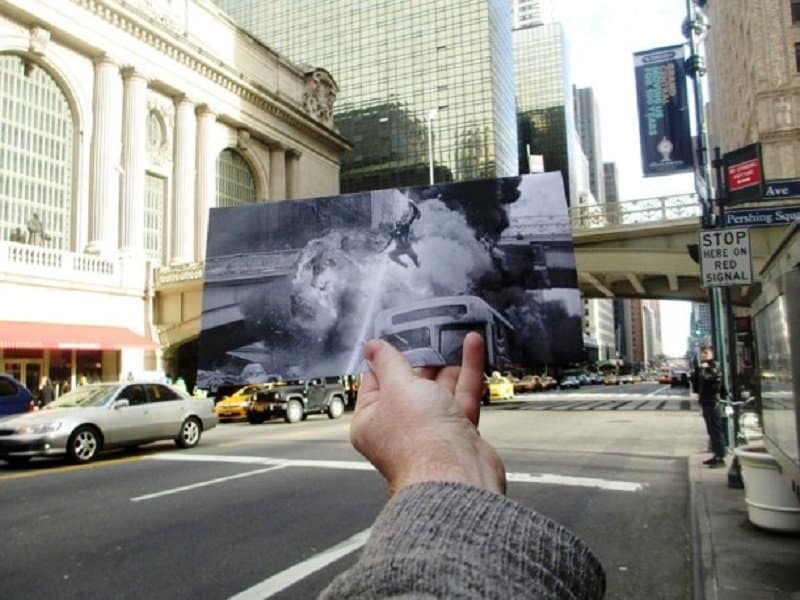 This famous scene of Captain America running away from lazer beams was shot in New York city. Luckily there is no destruction surrounding the image in real life. 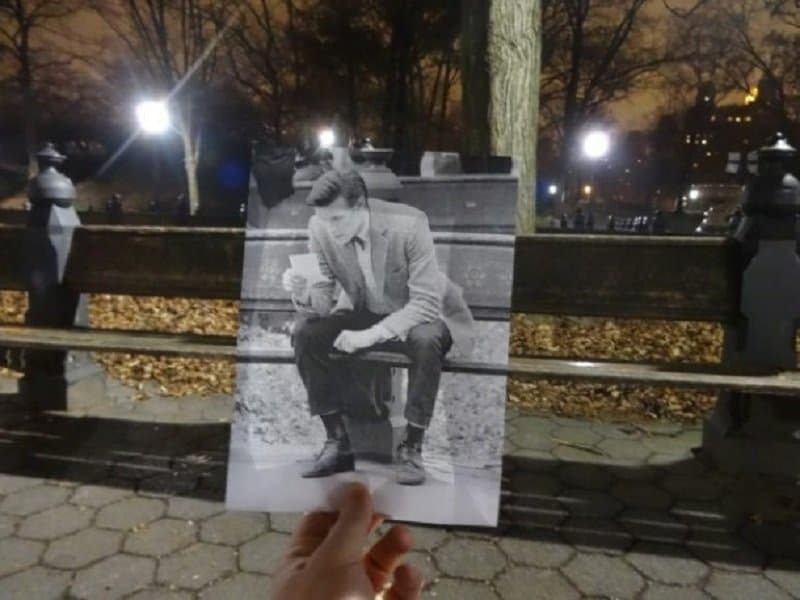 Yet another iconic scene that was shot in New York. 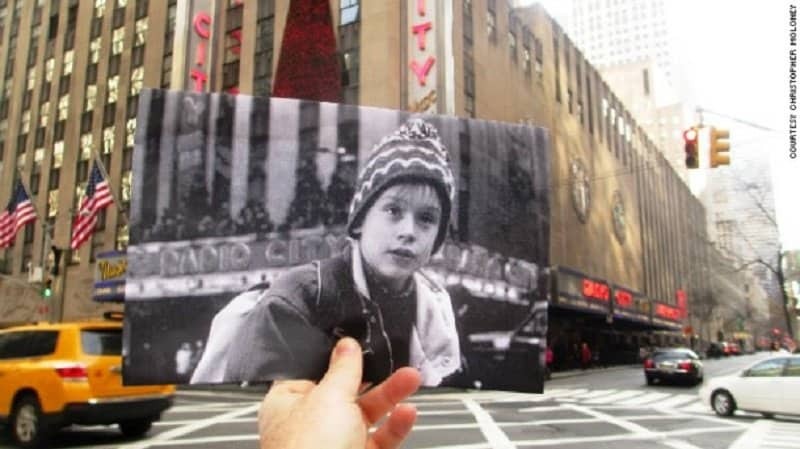 Being home alone is one thing, but being left all alone in a city like New York must be nerve wrecking for a kid, unless of course you are Macaulay Culkin. This picture looks like someone is trying to retrace the steps of a time-travelling doctor, but we all know that isn’t possible without your own blue phone booth. All it takes for a city to lose its peace is for the cops, vigilantes and villains in the city to start participating in an all-out brawl. 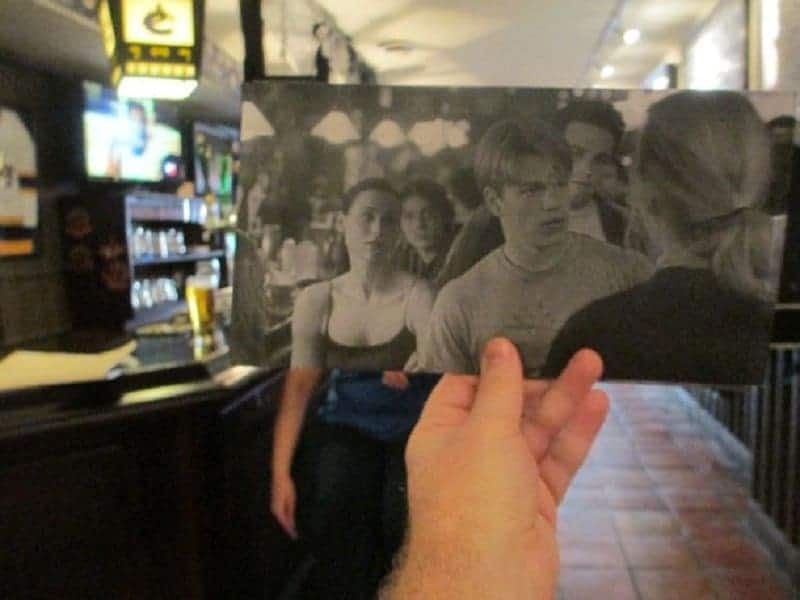 Christopher managed to even visit the bar where this famous scene from ‘Good Will Hunting’ was shot. How do you like them apples? Nothing like seeing these immortal steps to get your heart pumping and make you want to knock someone’s teeth out. 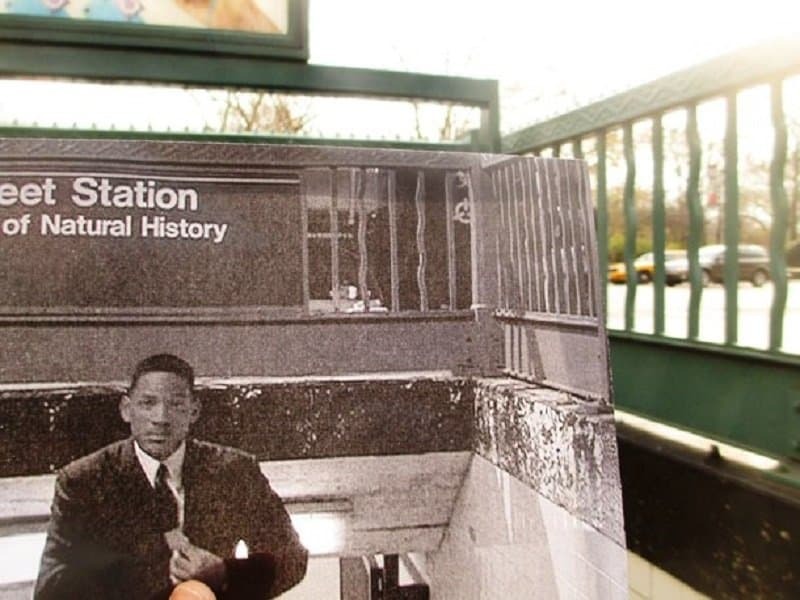 Are you sure you remember seeing a man in black exiting this subway station? Your memories might have just been erased following a blinding flash! 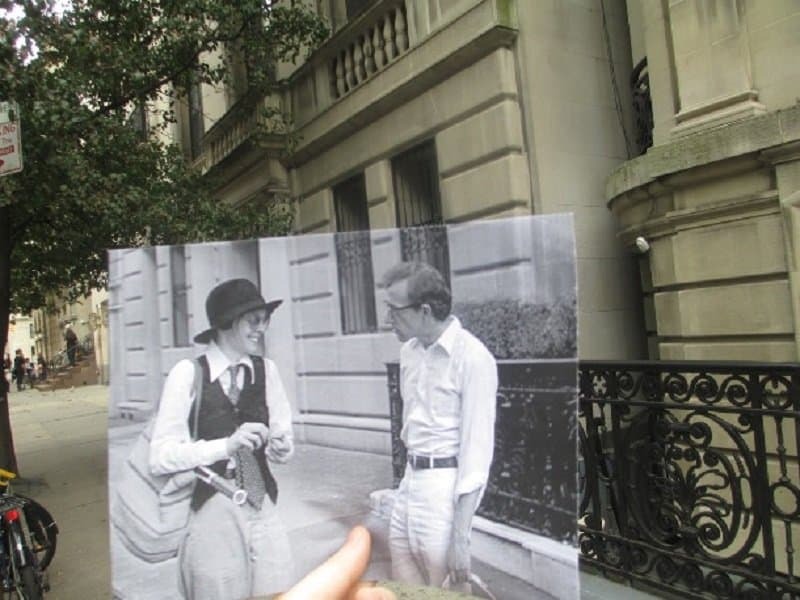 Woody Allen proved to people that you don’t need elaborate sets to make a great film. The way he saw it, the action always took place on the streets. 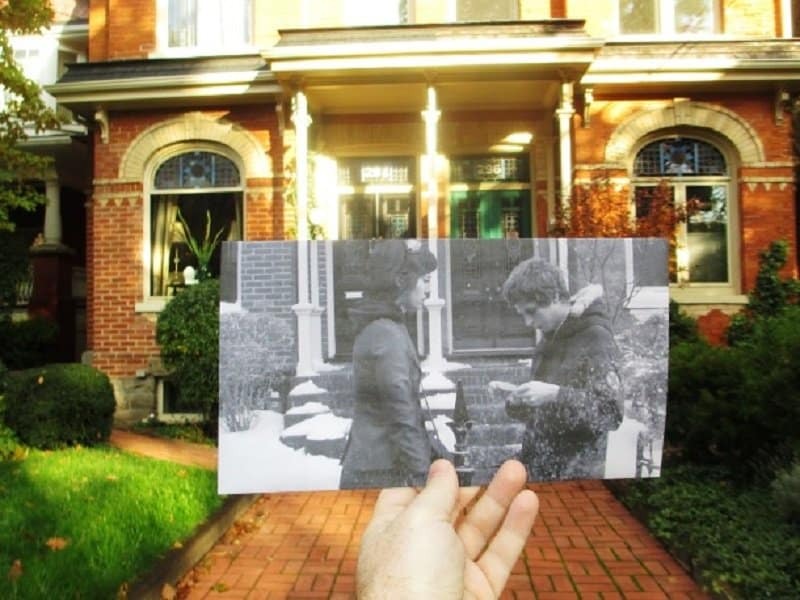 The talented photographer actually got to visit Scott Pilgrim’s house! How dreamy! For the streets of any city to look this deserted, you seriously need something horrible going down, like it did in Resident Evil.